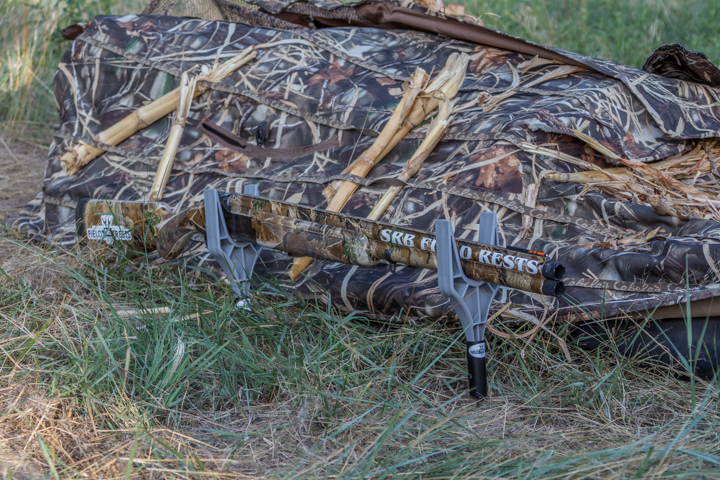 SRB Field Rests offers the perfect solution for Goose Season. No more laying your shotgun on the damp muddy ground and fumbling for it when that perfect flight of geese descends unto your setup. The SRB Field Rests One Piece Gun Rest includes one sturdy steel powder coated socket with a 5″ spike to insert into the ground and one durable plastic rest, bolted together. This rest will hold your shotgun 6″ off the ground at the rest, with the action out of the dirt and mud, providing a safe place for your shotgun for easy access to pick up and shoot when ready. 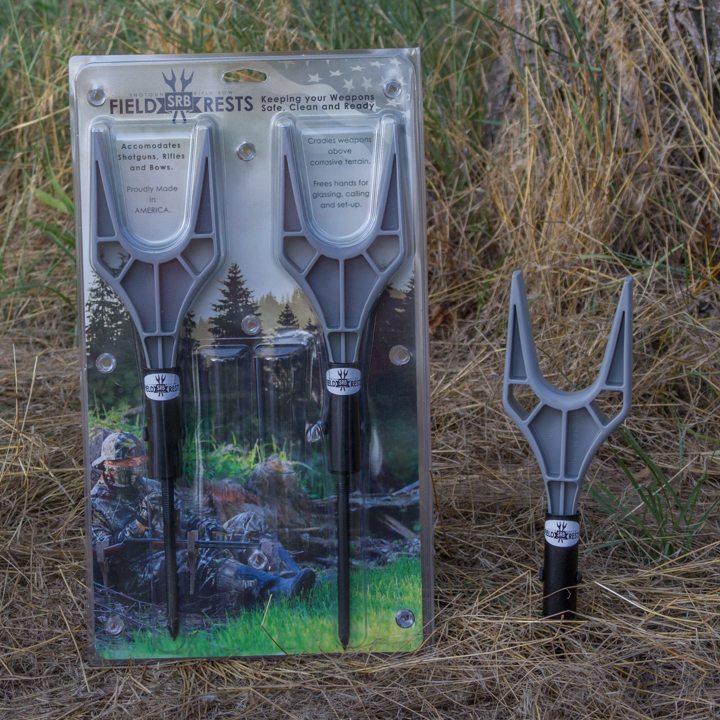 The SRB Field Rests Two Piece 6″ Field Rests includes two durable molded plastic field rests with attached powder coated sturdy steel socket with 5″ spikes to insert into the ground. Holds your shotgun 6″ above the ground whether hunting the layout blind or sitting. Available in Gray, Premium Camo, and Blind Black. are in stock at srbfieldrests.com. Keep your gun or your client’s guns safe and ready at all times. These packable gun rests are easy to pack in and out of the field and are durable for many seasons. Order your SRB Field Rests today to use on your next goose hunt. Enter code srbfan for a 10% discount plus free shipping. Outfitters contact us for bulk pricing.